With the Ibanez Bass Workshop SRAS7-RSG 2nd Generation Ashula Raspberry Stained Burst Gloss Ibanez presents the further development of the Ashula E-Bass, which combines the sound spectrum of Fretted and Fretless E-Basses in an innovative avant-garde instrument. The 7-String E-Bass offers three flatwound strings that run over the fretless fingerboard made of purpleheart (amaranth) and deliver a double-bass like sound thanks to piezo pickups. On the fretted rosewood fingerboard, however, classic roundwounds in combination with magnetic pickups and active 2-band tone control provide classic electric bass sounds. 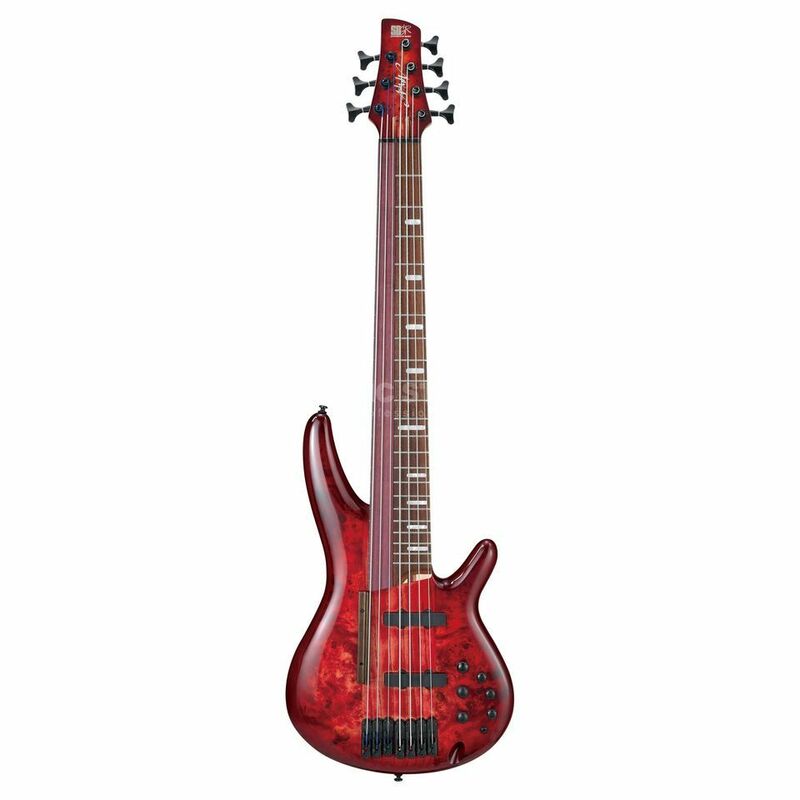 The avant-garde Ibanez SRAS7 Ashula seven-string instrument combines fretted and fretless fingerboards in one bass and invites you to play creative electric bass.